PEZ has had its thumb on the pulse of American pop culture for over half a century. 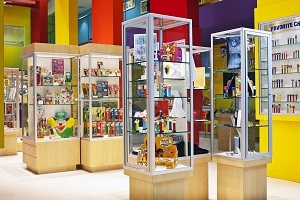 At the PEZ Visitor Center in Orange, CT, curious visitors and PEZ aficionados alike can explore this vibrant history and enjoy some sweet treats. 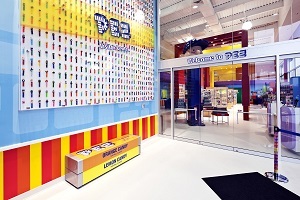 Orange, CT is also home to the PEZ factory, which curious guests can view right from the Visitor Center. “We’re the only PEZ factory in North America,” Peterson explains. “Daily, we produce twelve million tablets and one million rolls of PEZ. We’re open forty-eight weeks of the year, so that adds up to billions of PEZ annually.” 2,880,000,000 tablets of PEZ annually, to be exact, which come in a variety of flavors ranging from the standard cherry and lemon to the more adventurous sour pineapple and mango.